What do you do if you don’t have a database of people who’ve bought your homes? You plan a party! Amanora Park Town did not have the personal details of the home-owners to target them & their friends with relevant communications around project offerings and community happenings. 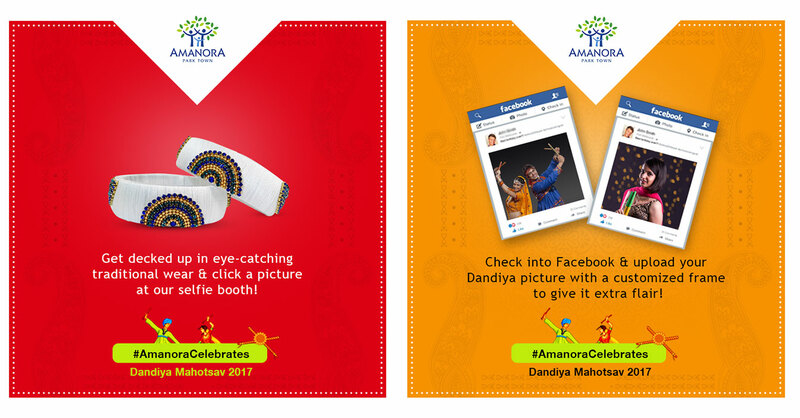 We had to generate a database of these home-owners by inviting them to the biggest Navratri Party in Town! 4) Shooting testimonials of people while they're having fun!